A beautiful tribute anad a beautiful pie!! It's gorgeous! I love your inspiration, and using the cherries for polka dots. Very creative! I love the hearts!! So cute and I am sure it is very tasty! 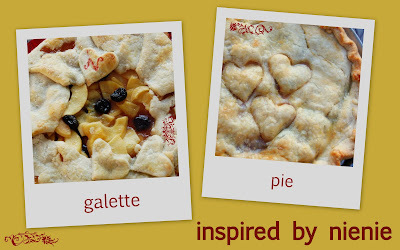 All of you are inspiring me with your beautiful pies - the way you used the heart cut outs on the galette is lovely! 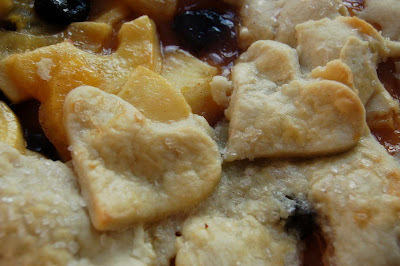 What a moving story - and your pie looks so tasty! I can't wait to see what your theme is for next month! Looking forward to your write up for next month's pie! 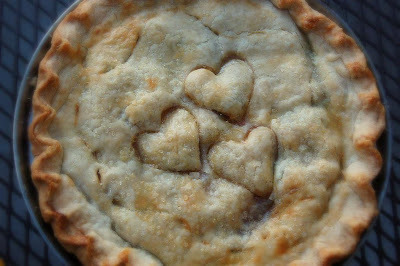 I love the way you have decorated your pie. Cool idea! What a cute pie! I am a sucker for hearts, they just make me smile! Great idea! That's awesome!! Very good looking! Lovely tribute and beautiful pie. Great work, dear! What a great idea! So cute. What is it about bright vintage? Now I want to paint everything. Very sweet! I only recently found Nie's blog through some other bloggers - she is a great example for sure as is the whole family pulling through their tragedy together. Your pie is a wonderful tribute! (Thanks for joining in again this time! Woah, momma! 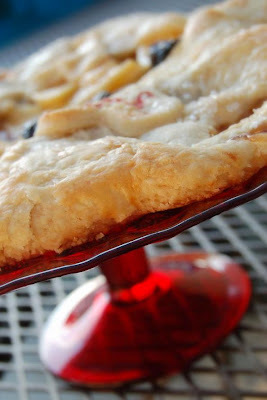 That is an insanely gorgeous pie! You may need to do a redo for Turkey Day! WOW! 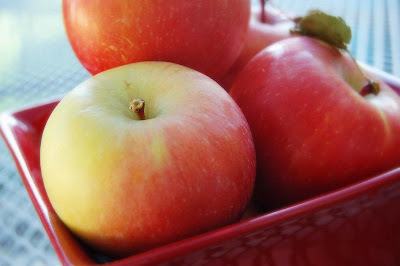 Sometimes the classic apple pie is what we all crave. It just cries out "homey". I'm sure it was delicious. She sounds like a wonderful person that would inspire us all. The pie looks great! Just beautiful Anne! I have been struck by Nie Nie's blog as well, what a talented young mom who will continue to inspire everybody! 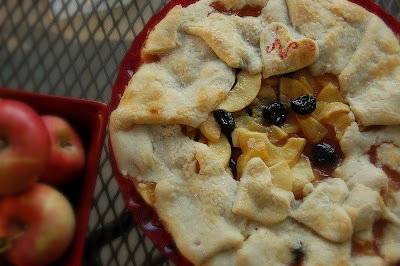 What a wonderful and sweet inspiration for your lovely pie and galette! They remind me of the bright, whimsical vintage-inspired aprons I saw in a kitchen store one day. A beautiful pie with an inspiring story behind it. I hope their recovery is complete. 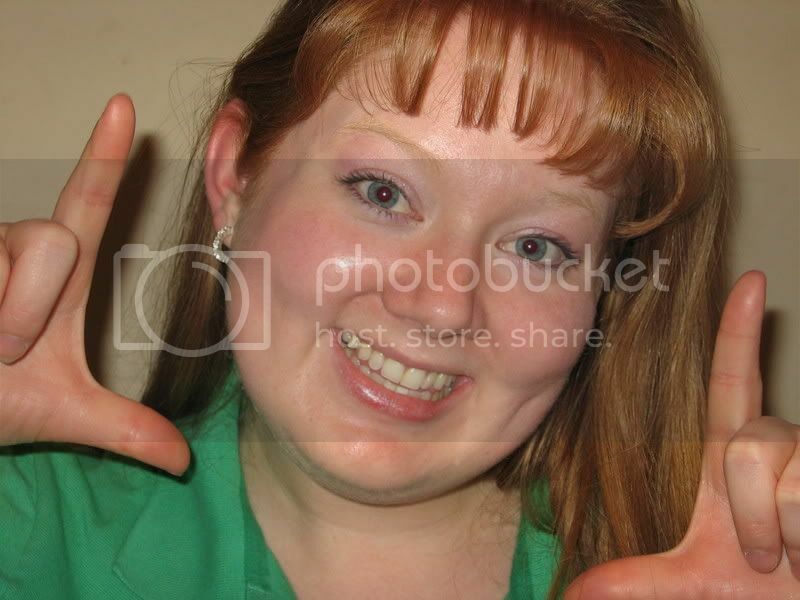 My cousin died in a plane crash several years ago in Utah. What a blessing that Stephanie and her husband survived.